There’s nothing quite like gathering with your friends or family members in one of your outdoor living spaces. We believe it gives you the best of two worlds. On one hand, you can soak in the wonders of nature in the Pacific Northwest: sunrises, sunsets, rustling leaves, puffy clouds, glistening stars, butterflies taking wing, crickets chirping the night away, and gentle breezes on your skin. On the other hand, you can enjoy all of the comforts of home. You’re surrounded by attractive furniture, tasteful decorations, and your own personal design touches. You can have a meal, savor snacks cooked over a fire pit, relax in plush seats, and use your WiFi. Below are some popular outdoor home features. When you’re pulling together ideas, you might keep these options in mind. An outdoor dining room is what you make it. It might simply be a small space with a table and a few chairs. On warm days, your family could have fun eating there. Alternatively, it might be an elaborate complex for big parties and events. As such, it could contain multiple sections, several tables, booths, benches, and perhaps lights on strings. You won’t have to wait for a pizza delivery driver to show up at your door anymore. With a wood-fired pizza oven, you can make your own cheesy pies whenever you want. The flames will create a delectable smokiness. Just as appealing, these ovens spread heat across pizzas evenly, which improves the taste a great deal. That’s not all. These ovens are visually appealing, and they’re very convenient. If you have guests coming over on the spur of the moment, you can grab some dough and toppings, and you can create a meal for them right away. Not to mention, with your pizza aromas wafting through the air, you might suddenly become more popular with your neighbors. 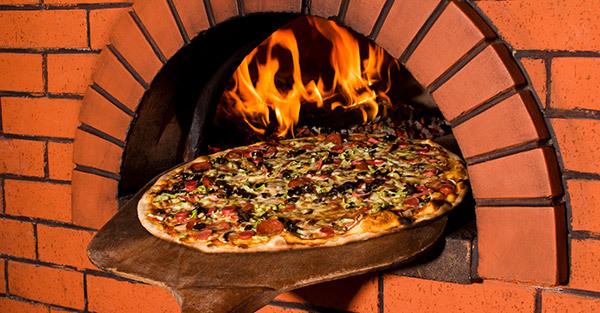 Call us we can help you design the perfect backyard pizza oven, your Eugene Outdoor Living Contractor. One option for outdoor food preparation is a cooking station. If you don’t have a lot of room in your yard, a cooking station might be the right choice for you. These stations are small but highly useful. They’re places where people can grill healthy and delightful items throughout the year. 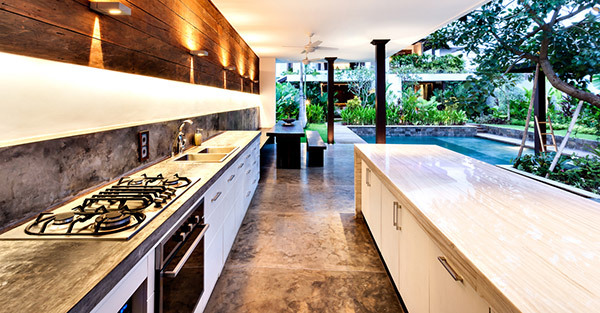 Over the years, outdoor kitchens have come a long way. In terms of functionality and decor, many of them now rival or even surpass the finest indoor kitchens. 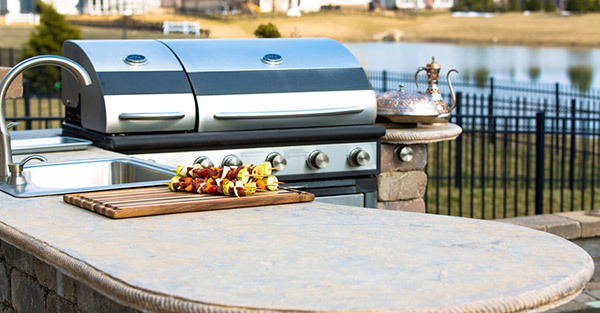 Your outdoor kitchen could contain a refrigerator, lockable storage chambers, one or more serving stations, fans, elegant lighting fixtures, heating units, and just about every appliance that you could name. 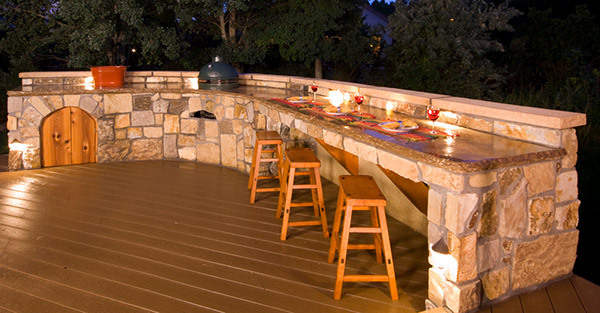 Generally speaking, an outdoor bar is part of an outdoor kitchen. Of course, you don’t have to serve adult beverages there. Your watering hole might become famous for its smoothies or milkshakes. Our bars are truly special. They can seat two individuals or several of them, and they have handy compartments for your kitchen appliances and other belongings. These bars also come with reliable heating and plumbing capabilities. In short, it’s hard to imagine a more welcoming and accommodating serving area. We Are your Eugene Outdoor Living Contractor. To maximize the joy of outdoor spaces, you should depend on experts in customized design and landscaping. Those are the kinds of people who make up our team.